5 ways to lengthen your ‘long run’ – Ride. Write. Repeat. I’ve always struggled a little with distance. Until recently, my longest ever run (I mean run – trainers, feet, not ‘club run’ eg bike) was 10 miles – and I just could not get past that distance. I found the concept of a marathon eye wateringly painful, in fact I probably still do – but yesterday I finally managed to pop my half marathon cherry on the Farthing Downs. My runs have very often been out and back, largely somewhere tarmac. When I did find an off-road route, it was only 5 miles each way, so excluding adding extra legs to the journey, I never got past the magic 10. 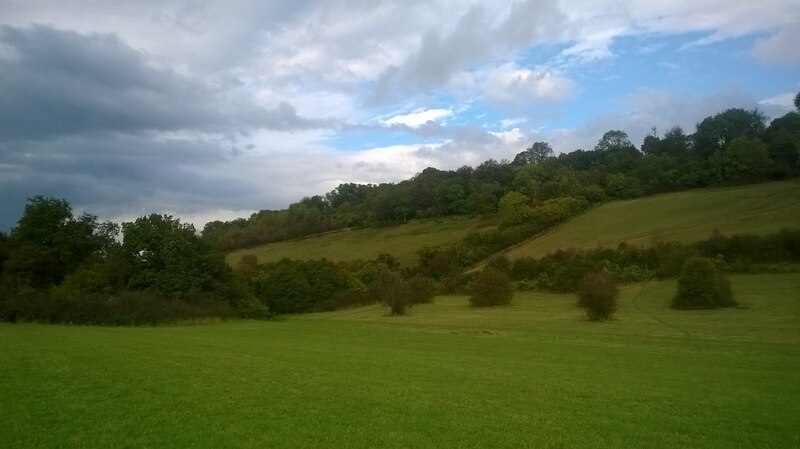 Since moving to a new town, that is coincidentally surrounded by the North Downs, and other spectacular scenery, I’ve got no excuse. My excursions have taken me to Kenley Common, Coulsdon Common, Happy Valley, Farthing Downs – and the trails are always longer than I could imagine – stretching into the distance for miles and miles, it’s so much easier to just keep plodding on, because the routes are unlimited, and they’re beautiful – I feel privileged to be where I am, rather than begrudging every step of tarmac jungle. 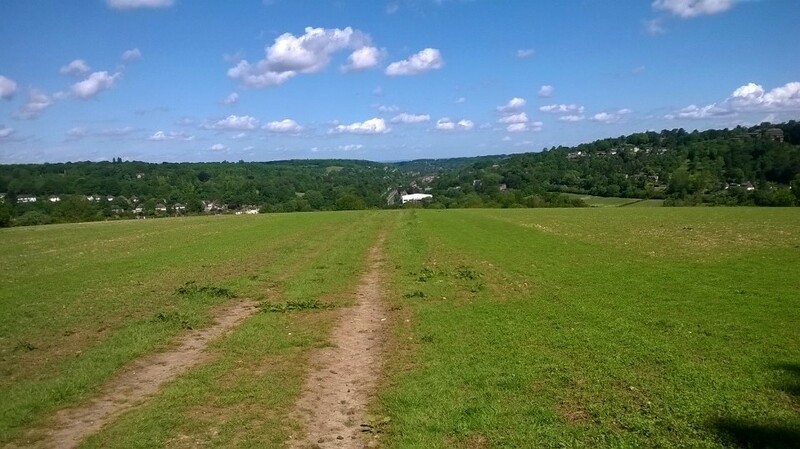 I now realise my old home wasn’t far from the North Downs either, I just hadn’t taken the initiative to explore – so before you write this option off as an impossibility, look at what’s around you. Flat running is boring running – and constant jolting isn’t great for your joints, either. Yes, a fast flat run will result in a shorter finish time, with more miles accomplished, but running up and over the hills and far away breaks up any monotony, and turns the run into an adventure – it’s fun to clamber up and hold your hands wide as you thud-thud-thud down. Trails give your feet a soft landing, and the addition of random wet roots, woodland steps and mud just keeps it interesting – running is no longer a tick in the box, it’s a morning out. I always used to try to ensure my 10 mile runs were complete in 90 minutes or less – that was the time my first 10 mile took, and I had a fear of getting slower. My new routes, however, are not fast – there is slippery mud, there are big fat hills to double up over, and descents that I’ve had to side step down. Not only that, when I decided I was going to tackle my distance daemons, I told my self to run super steady, at a pace I expected I could maintain for longer than ever before. Of course, I’d like to think with a fast route, and the desire to run quickly, I could get that time down – but for now, the focus is on long and slow, with a faster run in the week – and that’s ok. It is of course important to be slow in adding new distance – the advised maximum increase for your weekly mileage is 10%, so make sure you don’t overstep the mark. I’ve struggled with running injuries in the past, but I hope I’ve learned from my previous mistakes. Past experience has taught me two lessons: stop when it hurts, and core strength is the holy grail. The first lesson I’m still working on accepting fully, and the second is a constant quest for improvement – but with one dedicated core/kettlebell session a week, and one taught yoga session, I definitely feel stronger, and I’ve suffered fewer niggles than ever before. When I first began running again, in July this year, I bought the first pair of trainers I found that said ‘for over pronators’, and I soon got sore feet. I promptly hop-skipped to my nearest running shop for an assessment and some ‘proper’ running trainers – eventually coming away with the Brooks Women’s Adrenaline. The ‘Adrenaline’ is a support trainer, and apparently this offers more ‘support’ than I actually require, but a knowledgeable assistant assured me they would be suitable, and thus far they’ve been great. I don’t believe it’s necessarily to pay the £100 odd quid that is often required at a specific running shop every time – once you’ve been assessed by someone who knows their stuff, I reckon it’s best to take to Google and find the recommended shoe style much cheaper (perhaps last years model) – but if you’re at all unsure, a quality service and speaking to someone who knows their stuff is important. I’ve often been guilty of putting a big focus on speed – with little care for going longer. My key sessions were hill reps and 3 minute intervals, the ‘long run’ just an easy hour of recovery to tick off. The year, I’m approaching winter training from a new angle – aiming to build a solid base to work from come spring, and I’m leaving the speed work out for now, with a focus on endurance and strength. The long run is now my ‘key session’ and that’s helping me to treat it with respect. Not only that, but due to the new, challenging terrain, and the gradual addition of extra miles, I’ve reached a new appreciation for the long run. I look forward to it each week, waiting for the weekend morning when I can pull on my trainers, hit ‘Go’ on the Garmin and just keep going until I’ve found somewhere new and beautiful to stop and scan the view for a while. Enjoying the run is the key – because if it’s simply a chore, you’ll never strive to make it longer.